Schedule a Free Solar Site Analysis Today. 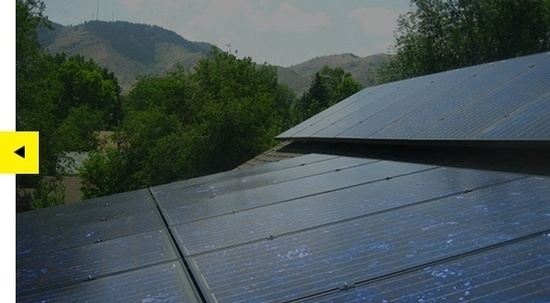 With turnkey service, a community full of references and the latest in technology, Active Energies Solar is a leading solar design and installation firm, serving Eagle, Summit, Lake, Garfield and Pitkin Counties in Colorado. The price of solar has dropped dramatically, making it an affordable choice for many home and business owners. We now offer financing through our partners, which allows most homeowners to go solar with no additional cost. Our experts will come to your home or business to evaluate your available space and budget and walk you through the installation process, available incentives and how net-metering works. "The system is working as advertised. There isn't much to say about a (nearly) maintenance free system that is doing its job. Even though the array orientation is less than ideal, the PV system is generating more electricity than we are using. The service we received from Active Energies was thorough and as agreed upon. Since we were new construction, the installation was separated into a couple site visits. The installers and installation were clean and professional. The knowledge displayed and quality of service gives me confidence that we made a good decision in choosing Active Energies and the equipment we purchase will last many years (or even decades!). Environmental responsibility has been part of our lives for years, and we were finally at a point to take it to the next level. Getting "free" fuel to power our house reduces the consumption of non-renewable resources. The only real obstacle for any home owner to put a PV system on their house or property is cost. The incentives go a long way reducing that cost. Active Energies is one of the most cost competitive provider/installer of turn-key systems I found. I don't think I would have gotten anything more nor better by choosing one of the higher priced competitors.